If you haven’t decided upon a file manager yet, Solid Explorer wants to win you over. 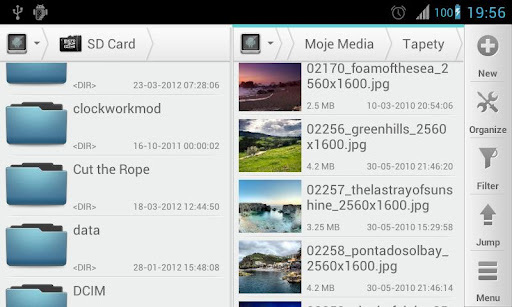 Solid Explorer is a file manager that has the ability to view and access files on your internal memory and SD card (copy, cut, paste, delete, open, move, share, etc. ); support for viewing, unpacking, and creating archives; FTP/SFTP and SMB/CIFS support; file sharing via FTP; root access capabilities; indexed search; detailed analysis on storage usage; and more. However, there are three features that set Solid Explorer apart from other file managers. First there is Solid Explorer’s ability to access and view Dropbox and Box files, for those that have Dropbox or Box accounts. Second, Solid Explorer has double-panel support meaning you have two separate locations open side-by-side allowing you to drag + drop files between the two panes (note: in portrait mode you must swipe left/right to access the other pane while in landscape mode the panes are side-by-side). Lastly, Solid Explorer has an extremely well designed and aesthetically pleasing interface that supports a ‘dark’ and ‘light’ theme. Take note Solid Explorer is currently in Beta, so you may encounter a few bugs until it is perfected. For what it is worth, however, I haven’t had any major issues with it during my testing. 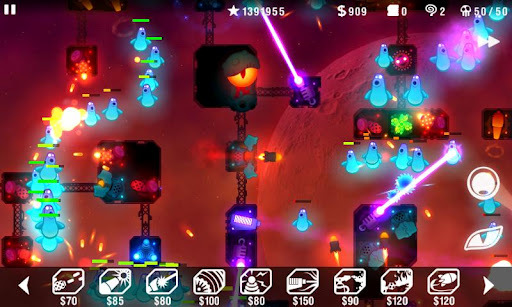 Radiant Defense is a tower defense game for Android. Radiant Defense combines excellent graphics with, surprisingly enough, humor and a story line to create an enjoyable tower defense experience. There are 10 missions with over 300 waves for you to defeat; on each mission there is a predefined path waves follow but you have the ability to force them to follow a path created by you. There are 9 towers and 3 “weapons of mass destruction” at your disposable to destroy enemy waves. Radiant Defense is free to play with the option to purchase ‘premium upgrades’, such as a ‘Burning Pack’ or ‘Science Pack’, which increase the amount of towers and weapons which you can use. 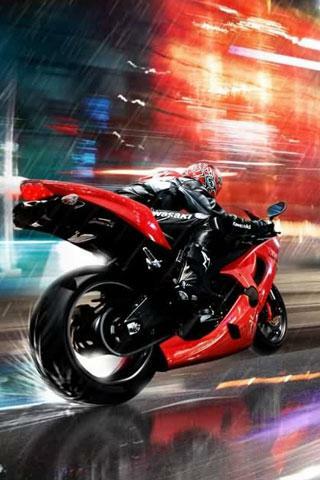 Lane Splitter HD is an app that allows users to pick from twenty Motorcycle Grand Prix high quality photos to set as wallpaper. If you want more wallpapers, there is the ability to download more wallpapers (an Internet connection is required to download extra wallpapers). Once you find the wallpaper you like, you can set it as your wallpaper in one click. Oddly enough, however, aside from setting an image as wallpaper you can’t save it to your gallery.